Kentucky is part of the country’s Ohio River Valley region, the nation’s second largest AVA. The region covers more than sixteen million acres across Kentucky, Ohio, West Virginia, and Indiana and is known as the place where American viticulture was born. 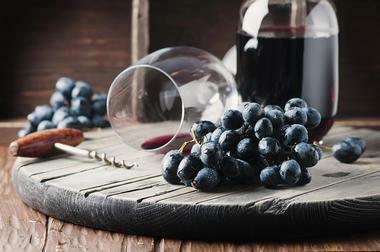 Many of the wineries produce handcrafted wines with berries and grapes grown in Kentucky soil. 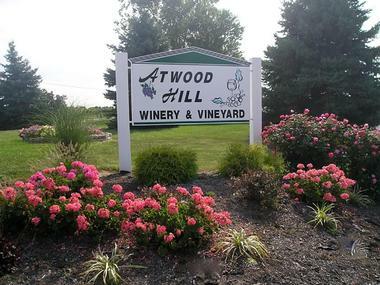 The Atwood Hill Winery and Vineyard is a family farm that has been around for six generations and founded back in the year 1918. The actual vineyard and winery has been in operation for more than ten years. The Tasting Room at Atwood Hill Winery is open Fridays from 5:00pm until 9:00pm, Saturdays from 1:00pm until 9:00pm, and Sundays from 1:00pm until 6:00pm and visitors can stop by to sample an array of wines within the cozy indoor setting or sit outside on the winery’s porch and enjoy the relaxing country atmosphere. The Baker-Bird Winery was formerly the Abraham Baker wine cellar and was renamed in a German tradition for the man who constructed the winery, Baker, and the one who owns it, Bird. Visitors can sample the award-winning, high quality wines produced by the Baker-Bird Winery inside the original pressing room, take a historic winery tour to get even more of a wine experience within a historic setting, and find a wide variety of items available for purchase in the winery. The Baker-Bird Winery has a unique hospitality and atmosphere, and is open on the weekends from 1:00pm until 5:00pm. The Boucherie Vineyards and Winery is situated on a hillside in Henderson County in the western region of Kentucky. Visitors can relax with a glass of wine on the front porch and take in beautiful sunsets and panoramic vistas of the surrounding vineyard. The goal of the Boucherie Winery is to provides customers with great wine with good times and good friends. 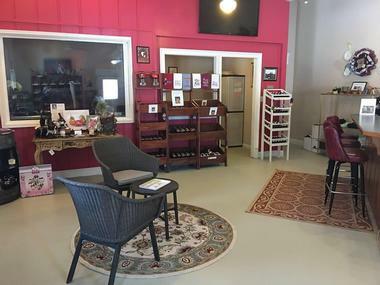 The tasting room at the Boucherie Vineyards and Winery is open Wednesday through Saturday from 11:00am until 6:00pm and on Sundays from 1:00pm until 5:00pm. 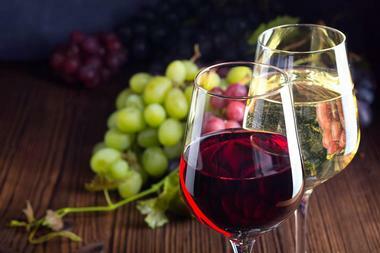 Wine varieties include Norton, Chambourcin, Traminette, Chardonel, and several others. The Brianza Gardens and Winery is located within the rolling hills of the northern region of Kentucky, offering a small piece of Italy and a place of relaxation and beauty to taste wine and enjoy some good company. The winery provides both outdoor and indoor seating for guests to sit with a glass of wine. Wine tastings are available in the tasting room and include a selection of five wines and a souvenir wine glass. The property is home to more than 3,800 grape vines, as well as pear and apple trees and plantings of black currant and blackberries. 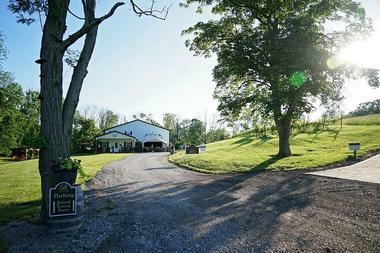 The Broad Run Vineyards follows the journey of family Old World wineries. The journey started with twenty varieties planted in 1983, with most surviving the following five years, producing excellent wines. Broad Run began commercially producing wines in 1992, with its first vintage being released in 1994. The tasting room and winery make up a total of eight thousand square feet. The tasting room is open for open table wine tastings and bottle purchases Wednesday to Friday from 2:00pm until 6:00pm, Saturdays from 1:00pm until 7:00pm, and Sundays from 2:00pm until 6:00pm. 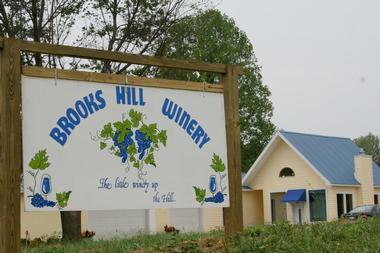 The Brooks Hill Winery is located in the town of Brooks, only a short distance from the major city of Louisville, Kentucky. The quaint and quiet winery and vineyard gives off a distinctive southern family feeling. Along with samples of dessert wines, dry wines, fruit wines, estate wines, and sweet wines, the tasting counter at Brooks Hill also serves plates of cheese. During nice weather, guests can also relax at the pavilion and listen to live music. During the colder months, there is a cozy fireplace for visitors to warm up by at the Brooks Hill Winery. 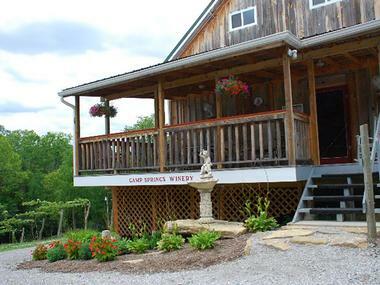 The Camp Springs Vineyard Winery is a small farm winery and vineyard in the northern region of the state of Kentucky. The Tasting Room is open three days a week: Fridays from 5:00pm until 8:00pm and Saturdays and Sundays from 1:00pm until 6:00pm. Wine tastings include a sample of seven different wines produced at the Camp Springs Winery. Wines available at Camp Springs include Merlot, Chambourcin, Cabernet Franc, Vidal Blanc, and the Four Mile Blend, which is a blend of sweet Vidal Blanc and dry Chambourcin. A variety of fruit wines are also available. 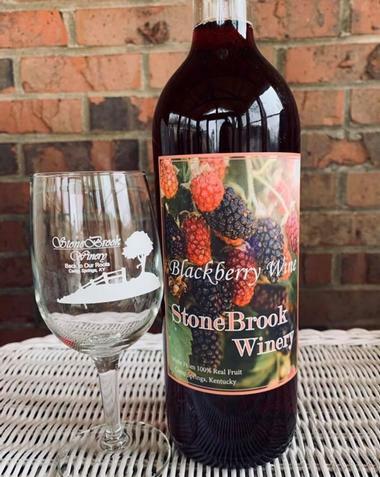 The Chuckleberry Farm and Winery can be found on the outskirts of Bardstown and is a winery for wine lovers who don’t mind taking the road less traveled. 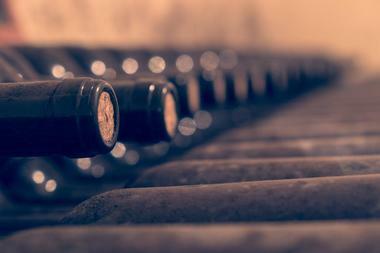 The winery prides itself on creating some of the area’s finest berry wines. 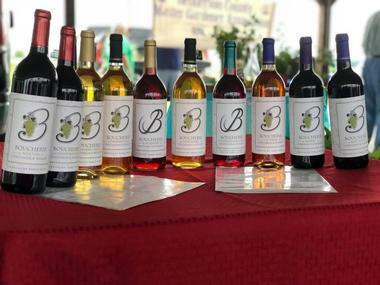 Chuckleberry Farm and Winery believes that berry wines serve as a great alternative to the traditional grape wines, offering a wider array of flavor. 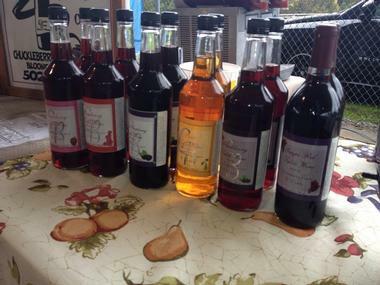 In addition to specializing a variety of berry wines, Chuckleberry Farm also produces and sell its own honey. Chuckleberry Farm and Winery is open to visitors on Fridays, Saturdays, and Sundays, with additional hours during the summer. The Echo Valley Winery prides itself on being a family-owned and operated winery and vineyard, producing wines from the grapes grown in the on-site vineyard. Echo Valley Winery is open to visitors Monday through Thursday from 11:30am until 9:00pm and on Fridays and Saturdays from 11:30am until 11:00pm. Wine varieties available at Echo Valley include Chardonel, Traminette, Chambourcin, Seyval Blanc, and Norton along with several others. Fruit wines include Peach Mead, Blackberry, and Blueberry. Visitors can take a walk through more than ten acres of the grape vines in the hills of Flemingsburg, Kentucky. 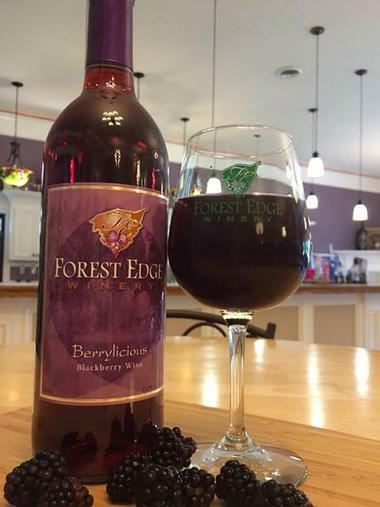 The Forest Edge Winery is a family owned and operated winery located in the town of Shepherdsville in Kentucky. One thing that makes Forest Edge unique compared to other wineries in the region is that it is a truly family-friendly winery. While parents sample wine, kids can make crafts, watch television, and play in the winery’s children’s room. The Forest Edge Winery is open Monday through Thursday from 11:00am until 6:00pm, Fridays and Saturdays from 11:00am until 7:00pm, and Sundays from 1:00pm until 6:00pm. Fans of the winery can join one of the two wine clubs. 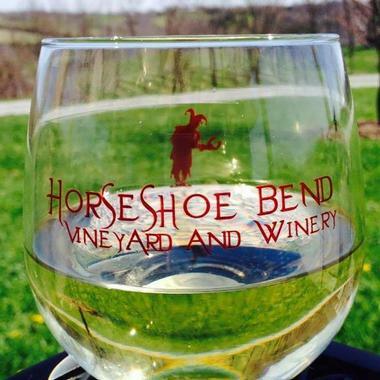 Horseshoe Bend Vineyards and Winery started as a winery that produces wines heavily influenced by the styles of Europe. 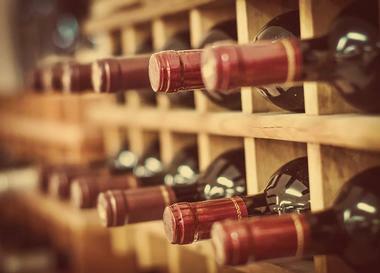 Many of the wines are dry and made to be paired with different foods, such as lighter wines with lighter foods, such as cheese and fruit, and heavier, darker wines with meats and other heavier foods. 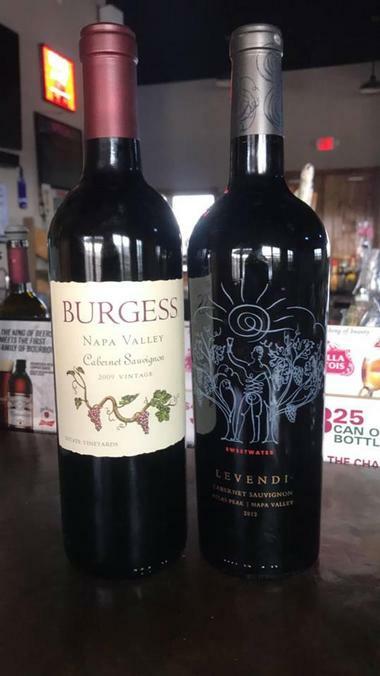 The Horseshoe Bend Vineyards and Winery has evolved, however, and now also offers bourbon barrel wines and sweet wines in addition to its traditional European-style dry wines. The winery has been recognized in national wine competitions, as well as seen on television in a variety of shows. 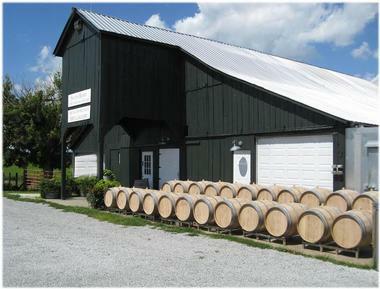 Jesters Winery is a nationally award-winning winery found in the town of Lebanon, Kentucky. The winery actually has two locations, one as the Jesters Winery and Cafe and the other being Horseshoe Bend. Jesters Winery produces a handful of sweet wines, spiced wines, bourbon barrel wines, and dessert wines, along with European-style dry wines. The winery also offers sunset sipping, three-course and five-course dinners, artisanal food, concerts, and other music-inspired and food-inspired events. Farm-to-Fork Dinners are offers on Fridays and Saturdays with both indoor and outdoor seating, and the cafe serves food using fresh ingredients from local farmers. The Lovers Leap Vineyards and Winery is a sixty-acre family-owned farm with a thirty-acre vineyard, boasting conditions for grape growing similar to those of France where some of the finest wines in the world are made. Visitors can take a tour of the winery, often led by the actual winemaker, providing guests with a distinctive experience of learning the winemaking process. After the tour, visitors can taste some of the signature wines produced at Lovers Leap in the tasting room. Lovers Leap Vineyards and Winery offers both white and red varietals, with some interesting blends as well. The Prodigy Vineyards and Winery is a winery that often pairs great wines with frequent specials and events in Versailles, Kentucky. Grilled food and live music are offered every Friday, in addition to the wine flights in the tasting room, sandwiches, and cheese plates. Lunch specials are available on Mondays, Tuesdays offer half-off specials for Ladies Night, and Thursdays bring buy one, get on 50% off specials. Prodigy Vineyards and Winery also provides tours and serves as an event venue. The tasting room is open seven days a week, with later hours on Friday nights, open until 9:30pm. 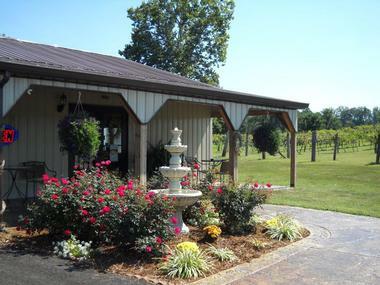 The Purple Toad Winery is a place in the town of Paducah where people can go to try local Kentucky wines. There is no live music or restaurant, only award-winning wine and a vineyard in which visitors can take a stroll. Fruit, white, and red wines are offered in the tasting room with pretzels, crackers, and Kentucky-made cheese. Free tours of the winery are also available and last around twenty minutes. The tasting room is open Monday through Thursday from 10:30am until 6:30pm, Fridays and Saturdays from 10:30am until 8:00pm, and Sundays from 1:00pm until 6:00pm. The Tasting Room at the Smith-Berry Winery is open every day of the week throughout the entire year. Regular hours for the winery are 10:00am until 6:00pm Monday through Saturday and 1:00pm until 6:00pm on Sundays. Wine tastings include a selection of six wines, with both red and white sweet wines, semi-sweet wines, and dry wines for visitors to choose from. Wine tastings are free if guests buy a bottle of wine.The grapes used in the wines are harvested by hand and fermented in only small lots, then the wines are estate bottled. The Springhill Winery is located near the historic town of Bloomfield, Kentucky on a historic and stately plantation from the year 1857. Visitors can relax in comfort at the winery with a glass of wine, experience the taste of award-winning Kentucky wine in a idyllic setting of vineyards and rolling hills. Guests can sit in one of the rocking chairs in the gazebo and take in the sun setting over the vineyard. Wine varieties offered at the Springhill Winery include Chardonnay, Chambourcin, Cabernet Sauvignon, and Cabernet Franc. The winery is open six days a week, Tuesday through Sunday. StoneBrook Winery has been producing award-winning Kentucky wines since 2005 and is a family-owned and operated small farm just twenty minutes from the city of Cincinnati. The Walter family strives to create high quality wines that will appeal to all palates, producing both traditional grape wines and a number of fruit wines. Visitors will find beautiful vineyard views, a bit of history, and a cozy tasting room inside of a 1890 farmhouse at the StoneBrook Winery. The Tasting Room is open three days a week, Fridays from 5pm until 9pm and Saturdays and Sundays from 1pm until 6pm. 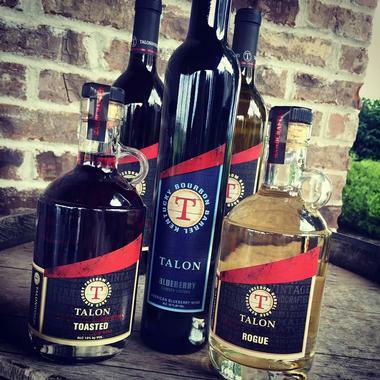 The Talon Winery and Vineyards produces an array of award-winning wines that range from red wines and white wines to blush wines and fruit wines. 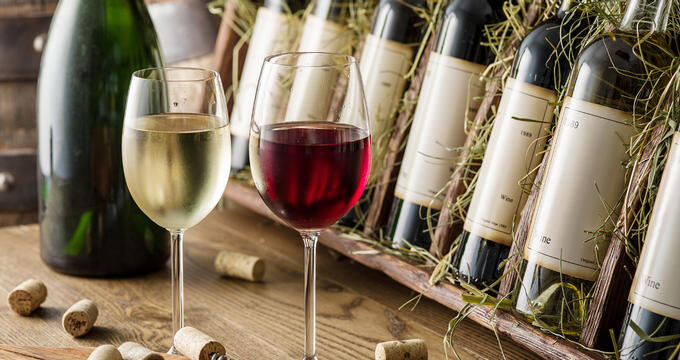 Visitors can sample these wines at the tasting room at the Talon Winery and Vineyards in Lexington, Kentucky or at the tasting room in Shelbyville, Kentucky. 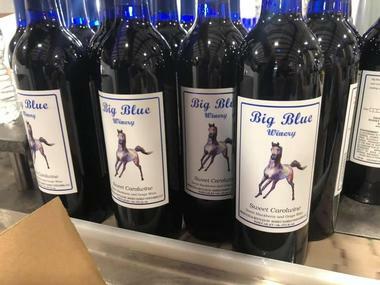 The winery is nestled among some of the finest horse farms in the state on a 300-acre farmland with pleasant breezes, red-roofed barns, and several ponds. The eighteenth-century tasting room at Talon Winery is open daily and no reservations are needed for guests to do a wine tasting. 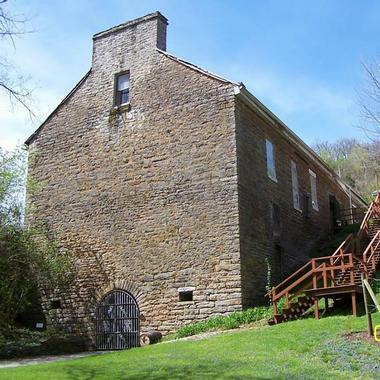 The Little Kentucky River Winery is truly a country winery and vineyard, offering tastings of its wines in an outdoor pavilion constructed from wood and stone found on the property. The vineyard is a tranquil setting in which visitors can socialize, relax, and enjoy wine while taking in a bit of true country charm. Guests are welcome to bring along a picnic lunch or snacks to have with their wine. There are several spots for a picnic, such as beneath the pavilion, next to the vineyard, by the Little Kentucky River just a short hike away, or a nook within the Enchanted Forest. 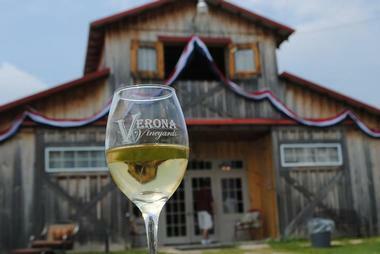 Verona Vineyards is a rather small winery nestled within the state of Kentucky’s rolling hills, focused on creating handcrafted wines with quality and character. The winery aims to provide wines that appeal to everyone, whether guests prefer a Cabernet Franc or a Chardonnay. The diverse wine selection includes red and white varietals, dry wines, semi-sweet wines, and sweet wines, all available for sampling in a comfortable tasting room. Along with the estate wines produced by the Verona Vineyards, the winery also serves an array of cellar wines handpicked from throughout the world, local and regional craft beers, and Kentucky Bourbons. The Wight-Meyer Vineyards and Winery is located not even fifteen minutes away from the city of Louisville, Kentucky, yet it offers a destination where people can enjoy wine amidst rural Kentucky’s natural beauty. The Tasting Room at the Wight-Meyer Winery is open seven days a week, offering wine tastings consisting of six wines. Hours are 11:00am until 6:00pm Monday through Thursday, 11:00am until 7:00pm on Fridays and Saturdays, and 1:00pm until 6:00pm on Sundays. From 7:00pm until 10:00pm on Saturday nights, guests can listen to live music on the winery’s back patio. 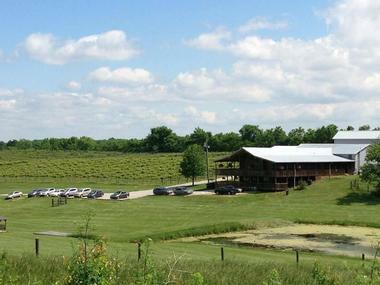 The Wildside Winery is located in Versailles and is a beautiful place to sip a glass of wine within the rolling hills of Kentucky. The winery offers an extensive selection of over thirty types of wine, as well as chocolate, crackers, and cheese for wine tastings. Wine flights are offered in several different sizes, such as the Light Flight with a selection of four wines or the Full Flight with a selection of eight wines. Visitors can also try a free sample of one of the wines if they’re thinking of purchasing a bottle, but aren’t sure if they’ll like the wine. 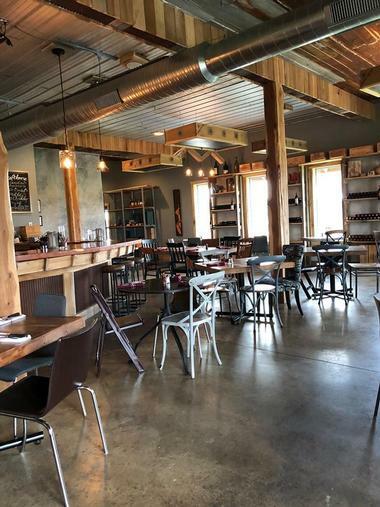 The Farmer and Frenchman Winery and Cafe is a small farm vineyard, cafe, winery, and venue for events, offering a distinct agricultural destination in Kentucky’s Henderson County. Guests will find a unique combination of entertainment, local food, and wine tasting experiences that are rooted in history but have a stylish and fresh twist. 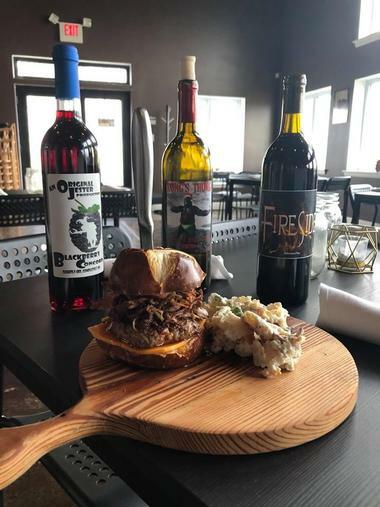 The Farmer and Frenchman Winery and Cafe is open Tuesday to Saturday, from noon until 9:00pm. While reservations at the cafe are not required, they are recommended. The menu features European-style recipes using local ingredients from Kentucky, such as artisanal pastas and pizzas made with local products. The Schoolyard Winery is housed inside of a historic schoolhouse built back in the year 1914 located in the downtown area of Verona, Kentucky. The veteran-owned and operated winery has experimented with a broad array of juices and grapes for quite some time, traveling throughout the country to explore, taste, and learn about different wines. The Schoolyard Winery now provides a good assortment of wines, including a unique rose, two different white wines, and three different red wines. 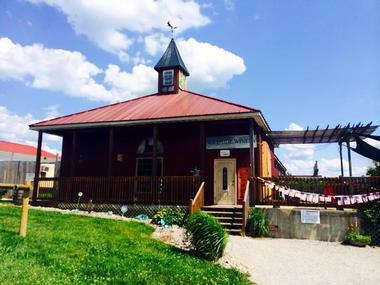 The Schoolyard Winery is open on Thursdays, Fridays, and Saturdays from three in the afternoon until eight at night.